Welcome back eveyone!! We hope you all had a lovely, realxing Easter break. 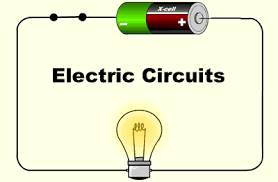 We have been learning about circuits in Science. We have looked at how circuits worked and have investigated different types of circuits, such as a parallel circuits. If you want to find out more about circuits and play some games involcing electric circuits, click the picture below. Our mini History project for Sid The Slob, is Ancient Egypt. Please click the picture of King Tut to visit the Woodlands Junior Site, so that you can find out more about this fascinating time in history. Please see the table below, which gives examples of some of the most common homophones. You are not allowed to smoke until you are 16. She spoke her thoughts aloud (to say something so it can be heard). A bear is a large furry animal. She walked on the beach with bare feet. To be bored is to have lost interest in something. A board is a flat piece of wood. If you break something you damage it. When you brake the car slows down. He caught a large fish. You play tennis on a tennis court. Did you check that the door is locked? You can write a cheque to pay your bills. I can't find my socks. She was fined £40 for driving too fast on the motorway. A daffodil or a rose is a flower. You need some flour to make the birthday cake. She has really long hair. A hare is an animal like a rabbit. His leg is broken, but it will heal (get better). Your heel is at the back of your foot. When we go to Spain we'll hire a car. The mountain was higher than the clouds. The maid cleaned all of the 15 rooms. I made the bed this morning. I spilt wine on my brand new shirt. There was only one piece of birthday cake left. She won the running race. I ate a pear and a banana for breakfast. I won the card game with a pair of aces. I ate a very large piece of pie. He went on an march for world peace. I painted over the wallpaper in a plain colour. The plane landed late because of heavy fog. Can you please pour some milk on my cereal. He grew up in a poor neighbourhood. The cat hurt his paw in a fight. He cut the tree down with a saw. His ankle was sore after he fell over. She couldn't see without her glasses. I went swimming in the sea while on holiday. She built a sandcastle by the shore. Don't let the children out of your sight. There were four cranes on the building site. She ran down the stairs to answer the phone. He stares out of the window at the neighbours. English- We had a english test and we did some more of the Myths and Legends work, also we recorded our Isis and Osiris Myths. Maths - We have been revising for the 2 tests, reasoning and procedural. 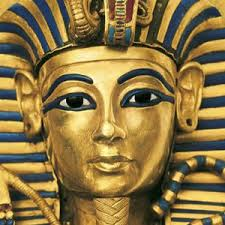 Project-We have written our Ancient Egyptian reports, where we had to use our research to write an informative report. Next term you will be required to present a short talk about a subject of your choice. Start thinking about this now, so that you are well prepared, as this forms part of the oracy assessment. You can have PowerPoint slides or bring in artefacts to illustrate your talk, but you will not be allowed to read from notes. You are allowed a few helpful hints on your P.P slides or on a piece of paper, these must be brief and in your own words. Another busy week! We planned, wrote and evaluated our Egyptian myths, we began work on our new topic called Woodland Survival and made title pages for our project books. Mrs Jones began some work on Judaism on Friday. We've started to talk about World War 2 and a new assignment has been added to Google classroom for the children to begin. It will require them to research aspects of WW2, both at home and in school. The final date for completion is 6th July so plenty of time to do a really good job, but our advice is to start early! Mr Jackson came in to check all bikes and helmets, ready for us to start the Safe cycling course on Wednesday next week. We will practise weekly until he returns for the test on Tuesday, 30th June. The children have fliers with this information.If anyone has a problem, we have a small amount of storage space for bikes on the school premises. This week, we met the new Head of Year 7 from Bassaleg, Mr Williams, and his Assistant Head, Mrs Sullivan. They gave the children information packs for Parents so please check school bags if you have not already seen them.The children took part in several activities and had time to ask questions. Two of our past pupils, Eeshan Hardikar and Amelia Johnston, returned to tell Year 6 about life in Year 7 and a online facility is now available for our children to ask any questions which Bassaleg pupils will try to answer. Our roof sprung a leak in Thursday's down pour, but dried out again on Friday. Please make sure you have trainers in school on Tuesdays now, as one of the Bassaleg PE teachers will be providing Cricket sessions in our PE slot. Remember you can still bring in a baby photo for Mr Rothwell if you haven't already done so! Welcome back after half term. We hope you had a rest, ready for a very busy term. Please don't forget that this week we are visiting a church in Malpas, so please bring in you permission slips by then. On Monday the 8th, we will be visiting Brecon, for a WW2 themed experience. Please can any outstanding money and slips please be brought in and remember to bring a packed lunch! We all had a fabulous time at Brecon War Museum and learnt so much about WW2!! Please check out our photos page where photos will shortly be arriving! Or click the picture of the museum to view our photos! OUR SONG FOR THE MUSIC EXTRAVAGANZA IS 'WE'RE ALL IN THIS TOGETHER' FROM HIGH SCHOOL MUSICAL. PLEASE HAVE A GO LEARNING THE WORDS AT HOME. THE LYRICS ARE BELOW. PLEASE CLICK HERE FOR THE WORDS AND SONG TOGETHER. Please remember it is SPORTS DAY tomorrow ( 23rd June). KS2 sports day begins @ 9.30 am on the field. Children can wear a t-shirt in the colour of thier house team ( red, green , yellow or blue). Alternative sports day is on the 25th June. If you have not brough your permission slip in for the climbing wall, please do so asap. If you need any help with ideas or sourcing an oufit/part of an outfit, please do not hesistate to ask Mrs Irvine or Miss Phillips. This week we will be continuing with our leavers concert rehearsals. Please continue to learn your parts!! The leavers concert will be on the last Wednesday of term (17th August) @ 1.30pm. We are also having the steel-pan drums visit us this week , which will be very exciting, if not a little loud! Please don't forget the music extravaganza is on Thursday. Tickets are still available form the office - £2 each. If you need extra practice, scroll up to find the song and video!! JUST TO SAY A HUGE THANK YOU TO EVERYONE FOR ALL OUR LOVELY PRESENTS, MESSAGES, CARDS AND GIFTS THEY ARE VERY MUCH APPRECIATED. THANK YOU FOR BEING SUCH A LOVELY YEAR 6 GROUP, WE WILL MISS YOU ALL ! WORK HARD, HAVE FUN AND ENJOY EVERY OPPORTUNITY THAT BASSALEG HAS TO OFFER. BEST WISHES AND THANK YOU AGAIN!